Allergy eyes or allergic conjunctivitis is a medical condition affecting more than 7 out of 10 allergy patients. Allergic conjunctivitis is irritation of the conjunctiva as a reaction to an allergic substance. The conjunctiva is the thin transparent membrane that covers the outer surface of the eye (except the cornea) and lines the inner surface of the eyelids. The conjunctiva becomes inflamed, the eyes become watery, red, swollen, itchy, and often irritated. Allergic conjunctivitis is not contagious. You may have tried antihistamine tablets and nasal sprays, but they are not designed to relieve the specific symptoms of allergy eyes. Many allergy medications contain a decongestant, which can be drying to the eyes, and dry eyes can be more susceptible to allergens. The doctors of Broward Eye Care can help you select a course of treatment that goes right to the source of the problem, by treating your eyes directly and far more effectively than with oral or nasal allergy medications alone. There are two types of allergic conjunctivitis: seasonal and perennial. Seasonal allergic conjunctivitis is the most common and affects people during specific seasons of the year. Perennial allergic conjunctivitis impacts people throughout the year. 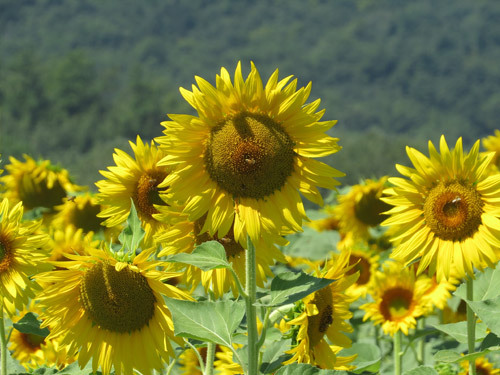 Whether seasonal or perennial, allergic conjunctivitis can cause severe discomfort. Avoiding the allergens that affect you is the best way to prevent allergy eyes. Staying indoors when mold and pollen levels are high, vacuuming the house to lift pet hair, pet dander, and dust mites are some examples of actions one can take to avoid or minimize allergic conjunctivitis reactions. But, most people who have seasonal allergies to pollen find it impossible to stay indoors in the Spring and Fall when pollen levels are the highest. Please discuss your symptoms with your doctor, who will consider drug therapy to offer you relief. We will first diagnose the exact type of allergy, then prescribe a course of therapy, which may include prescription medication in the form of eyedrops. There are several new medications to that are just right for your condition. Some of these medications are used as preventive therapy and can help you avoid having symptoms before they start. Two medications have shown to be extremely successful in the management of allergy related eye conditions. 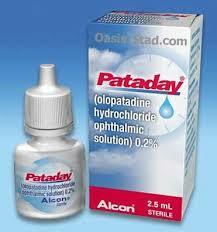 Pataday and Patanol (olopatadine by Alcon Labs) both work on multiple mechanisms involved in the allergic eye response. They have very good safety profiles with virtually no reported side effects (other than occasional mild stinging with instillation). Ask your doctor at Broward Eye Cre about these medications. Artificial Tears and Ocular Lubricants: Used to dilute allergens and inflammatory mediators, and to flush them out of the eye. Cold Compresses: Used to reduce swelling and reduce symptoms of itching and swelling. Antihistamine tablets and nasal sprays are not designed to specifically relieve allergy eyes. In fact, 73% of allergy patients who take oral or nasal allergy medication still suffer from itchy, red, watery, swollen eyes. Instead, make an appointment with your eye doctor to discuss your eye allergies. You can obtain pollen counts for your area in your local newspaper or by calling the National Allergy Bureau at 1-800-9-POLLEN.